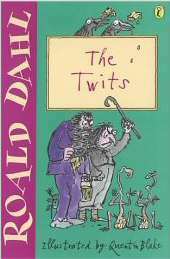 Well we finished The Twits very quickly because the girls loved it that much, they kept asking for ‘just one more chapter’ whenever we came to the end of a chapter! As with George’s Marvellous Medicine, they laughed out loud in lots of places and truly looked forward to story time each night. They couldn’t decide whether to read Matilda or Charlie and the chocolate factory next so after a bit of discussion, they settled on Charlie and the chocolate factory.